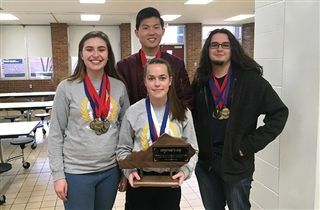 Congratulations to our US Governor’s Cup team, who won their district tournament on January 26 at Ballard High School. Tournament results are below. All of the teams and individuals listed above have advanced to the regional tournament, which will be hosted by St. X. The FPS team will compete on Monday, February 11. The Quick Recall team and written assessment test takers will compete on Saturday, February 16. Congratulations to all of our student competitors!